As a mom of two boys, I’m always on the lookout for fun, quality clothes for my sons. I like to pick out things that reflect their fun-loving attitudes. I also need the clothes to stand up to the challenge of surviving two rough-playing boys. Now that I’ve discovered Hank Player, I now have a source for all of that! Hank Player’s mission is to create quality, long lasting shirts that your kids will love to wear. The style of Hank Player’s tees is a new twist on vintage – garment dyed and vintage washed to give it a familiar lived-in and super soft, comfy feel. They offer long and short-sleeved tees, as well as a line of accessories. The Hank Player line is constantly updating and changing, so there’s always something new to explore. I was sent two shirts for each of my boys. Two orange NY shirts (orange is a great color on my boys! 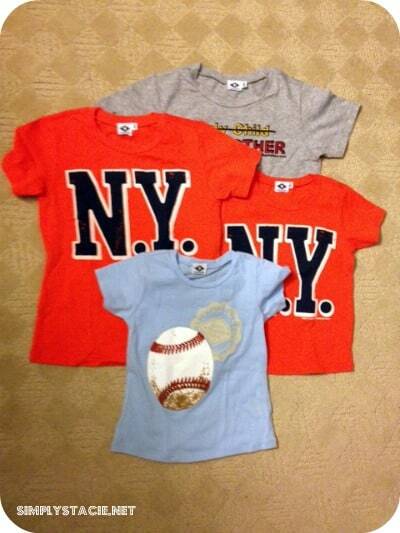 ), a soft blue baseball shirt for my youngest, and a fun “Big Brother” tee for my oldest. The shirts run true to size, with a little room to stretch and grow. I like that the cut is a little longer than most shirts on the market, giving it what I think is a “cleaner” look. The fabric is a supima cotton jersey, and is super soft against my boy’s skin (another great feature given the sensitive-skin of both my boys). The t-shirts are light-weight, great for summer and for layering in the winter. I love their girl’s line as well – there are a lot of great tees that would be perfect for my nieces as birthday and holiday gifts. 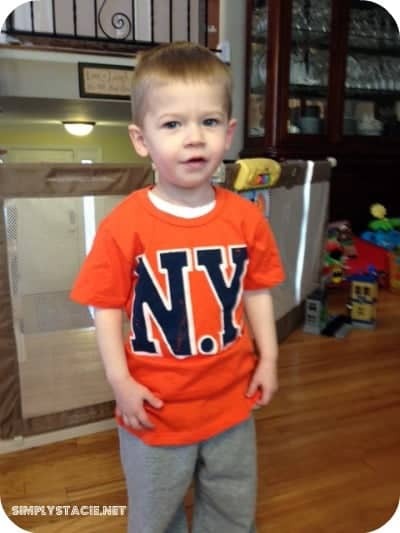 You can see the full line of Hank Player tees for babies, girls, boys and men on their website. I love the Knit Panda Hat! occupy playground shirt! So cute!